More than 80 of the world’s leading art galleries and photographers from all around the world will congregate in Manhattan on April 9th-13th to celebrate their shared love for photography. The 34th Association of International Photography Art Dealers (AIPAD) Photography Show is committed to the arts and always maintains and delivers the best quality frames to the art community. A Street Frames will be framing and delivering artwork to be featured at the New York City showing. How is A Street Frames involved in the AIPAD Show? A Street Frames is framing photographs for New York’s Bonni Benrubi Gallery, featured at the AIPAD Show. The photographer’s name is Richard Renaldi. The photographs are being mounted by Color Services in Needham, Massachusetts. A Street Frames is also framing some pieces for Julie Saul Gallery for the show by a yet-to-be-named artist. Art galleries and photographers from AIPAD have trusted A Street Frames with their most fragile and sensitive photographs since 1990. Art transportation and shipping are just some of the services provided by A Street Frames. Specially equipped vans travel from Boston to Manhattan to provide the best quality picture framing. 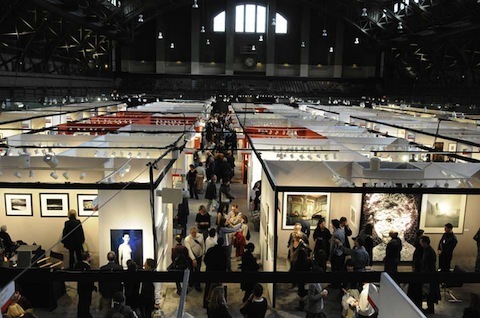 The highly anticipated annual photography event will be held at the Park Avenue Armory. It will feature contemporary, modern, and 19th-century photographs as well as photo-based art, video and new media. The show will open on Wednesday, April 9th with AIPAD’s Opening Night Gala to benefit Her Justice – a nonprofit organization that attracts the vast talent and wealth of New York City’s law firms. The show will feature galleries from across the U.S. and around the world. This years event features some new exhibitors in Feroz Galerie, Jenkins Johnson Gallery, and Paci Contemporary. The show will run from 11:00 AM to 7 PM each day, and tickets are available for purchase at the Show during Show hours. AIPAD has become a unifying force in the field of photography bringing members with a passion and fidelity for photography together from all over the world.